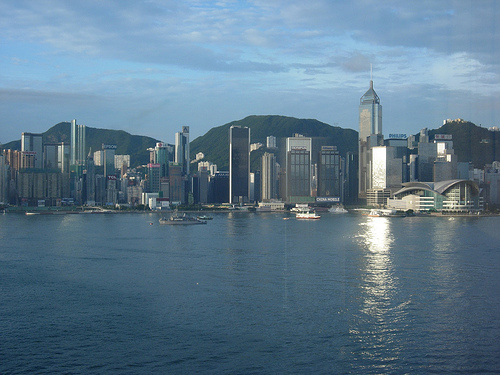 Hong Kong is a major financial and international center, where many people go for business. Because it was under British rule before going back to China, it has a mixture of Western, Eastern and local influence in its culture. English and Cantonese are the two official languages. While Cantonese is spoken among locals, English is more commonly used in the business and service sphere. Hotel employees often communicate in a multitude of languages. Hong Kongers put a lot of emphasis on the idea of “face,” which represents dignity, reputation and strength. One may lose face, such as by being insulted, save face, or even give face to another, such as by complimenting someone. Individuals and companies practice this concept, and it is the cause behind many decisions and interactions. Because of the Chinese influence, Confucianism is taken very seriously in Hong Kong. It is an ancient custom that determines peoples’ merit based on their relationship to others, and hierarchy is respected. It also stresses values of duty, loyalty, trust and respect for the elders. When meeting people in Hong Kong, it is custom to shake hands lightly. Hong Kongers may lower their eyes as a respect gesture, but you are not expected to do so. The Hong Kongers and Chinese usually have three names: their surname, followed by their father’s name, followed by their personal name. You should address a person by his or her honorary title and surname, and you may be invited to use the personal name. Table manners are not very strict in Hong Kong, so you can mimic what others around you are doing and usually not have a problem. When at a dining event, wait to be told where to sit, and don’t start eating until the host starts eating or signals for everyone else to start. Once you start working with a Hong Kong businessperson, it is important to maintain your relationship. When you first meet other people, be prepared for some small talk so that you all may become more comfortable. You may be asked questions that are considered too personal by your own culture, such as how much money you make. Hong Kongers have generally interacted with people from dozens of cultures, so they are aware of other customs. In terms of business meetings, they should be scheduled 1-2 months in advance, generally not around the Chinese New Year (which falls either in late January or early February). Arrive on time, but be aware that these meetings go rather slowly, so make sure not to be impatient. Great article! This is a fantastic site. Only one issue with this one, being a HKer myself, Chinese names are usually 3 characters long, and the first character is their surname, followed by the next 2 characters which is their personal/first name. Their father’s name is not usually included.